NIA CHARLESTOWN NEVIS (MARCH 21, 2016) — Sylvester Meade, overall winner of the Ministry of Tourism’s first Photographer of the Year Competition, says his passion for photography was one of the reasons he entered the contest. 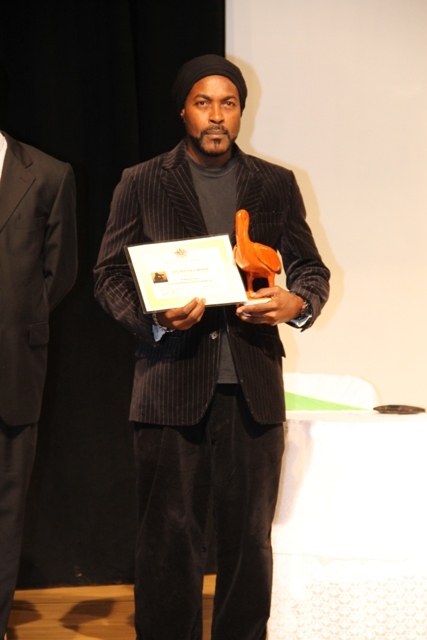 Meade’s win was announced at the Awards Ceremony on March 18, 2016, at the Nevis Performing Arts Centre (NEPAC) at Pinneys. “Photography is life; it’s a form of communication. A way of evoking feeling without speech, touching, feeling. It’s so intense, it appeals directly to the five senses. Its love,” he told the Department of Information after the Awards Ceremony. 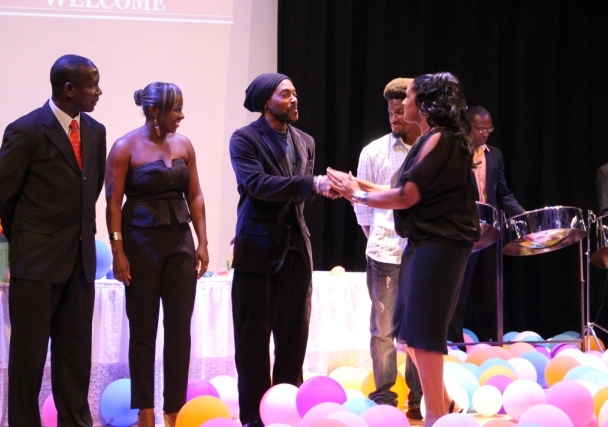 The second place winner was Romel Gaskin and Rhonda Thompson placed third. 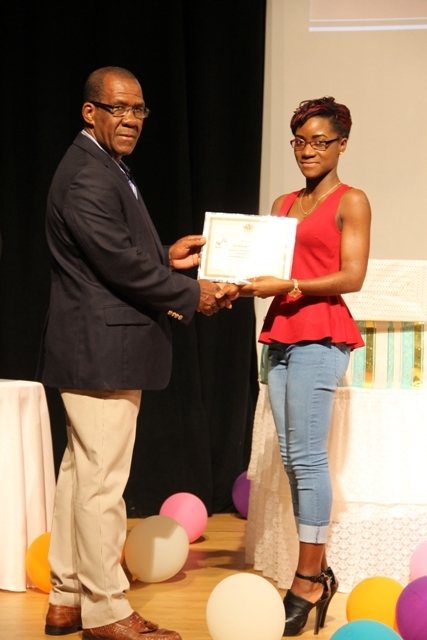 A special prize was awarded to Genesia Pemberton for her participation in the competition. 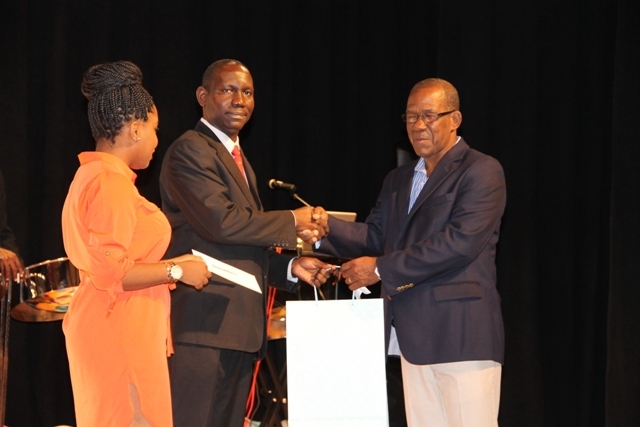 Errol Pemberton was honoured by the Ministry for 35 years of photography service to Nevis. In welcome remarks, John Hanley, Assistant Secretary in the Ministry of Tourism, described photography in a Nevis context as an indispensable discipline which records and exhibits the most interesting and evocative images that characterise the destination. “Photography captures the soul of Nevis’ tourism product, the vibrancy of its colours, the textures of its ancient stones, the facets of its architectural expressions and the spirit of its people,” he said. Hanley, who is also a photography enthusiast, said a good photographer requires not only technical skill but also a keen sense of art. “Not only must one be able to be on point in terms of focus, exposure, saturation and brightness, but what really sets the outstanding photographer apart, is his or her ability to capture fine details that most persons miss,” he said. Hanley used the opportunity to laud the efforts of the competitors at recording and showcasing some of the finest elements of Nevisian existence. He also expressed hope that they would continue to share the best scenes of Nevis with the rest of the world. The Photography Contest was an initiative of Shelagh James Communications Officer in the Ministry of Tourism. She told the Department of Information the contest went well. She said the Ministry was pleased with the outcome and would build on the knowledge gleaned from the first contest in readiness for the 2017 contest. “I was impressed with the participation. All participants’ photographs were brilliant and I am urging non-professional photographers on the island to participate in the contest next year she said. The competition was launched at the end of December 2015 and ran for six weeks for non- professional photographers who were 25 and over. Each participant was required to submit a photograph in five categories: Eco/Nature, Culinary, Historical Building, People and Creative Vision. It served to highlight the island’s budding photographers, the possibilities for entrepreneurship in the island’s tourism industry and was a creative way to bring about tourism awareness to persons of all ages on the island.